The cd-single comes in a FLP case which is a form of digipack with a hinged flap that snaps over the loose end of the cover. The plastic tray was black for the first run so the majority of copies in circulation are like this. A small number was later manufactured with a white tray and flap. View front and back artwork from the menu on the left. 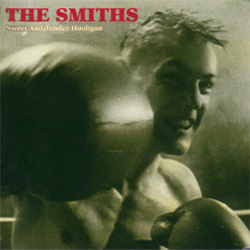 The front image carries over the spine which shows the catalogue number in beige, "The Smiths" in red, "Sweet And Tender Hooligan" in beige and "Reprise" in beige. 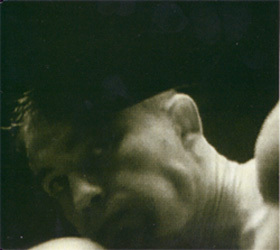 A close-up of the back image of boxer Cornelius Carr is found on the reverse of the front panel (view 'inside cd pack' left). The cd surface is red with beige text. 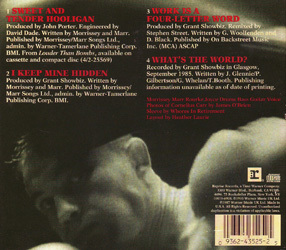 "The Smiths" is found at the top, the track listing at the bottom and Reprise logo, catalogue number and credits on the right. 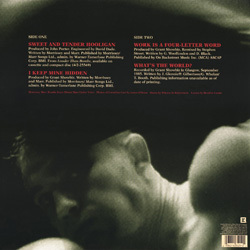 The Cornelius Carr front and back artwork was adapted for the 12" format (view front and back from left menu). The record is slipped inside a plastic anti-static inner sleeve. At Morrissey's request Reprise pulled out of their vaults the vintage 'tricolor' label design which they has abandoned in 1968. 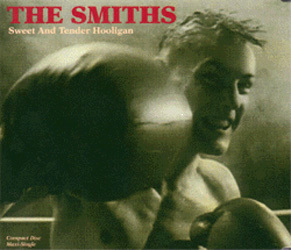 This version of the label had been used on records released on Reprise by some of Morrissey's heroes such as Frank Sinatra (who founded Reprise) or the Kinks. This reference cd-r served in the making of this single. It is a gold cd-r featuring the same four tracks as the final product. The band name and catalogue number are handwritten on the cd-r's clear inner rim. The insert is a generic white 'Warner Bros In House Studio' one with Reprise and compact disc logos at the top, band name, title, track listing, total time, etc. It is dated 'April 4, 1995'. Test pressings of this single have made it into the hands of lucky collectors. They are circulated in a white die-cut sleeve showing the Specialty Records Corporation labels. These are white, they feature the company's logo at the top and printed lines underneath to be filled in with release information, but it appears that none of these have been filled except for one near the bottom. The vinyl is very thin, almost translucid!